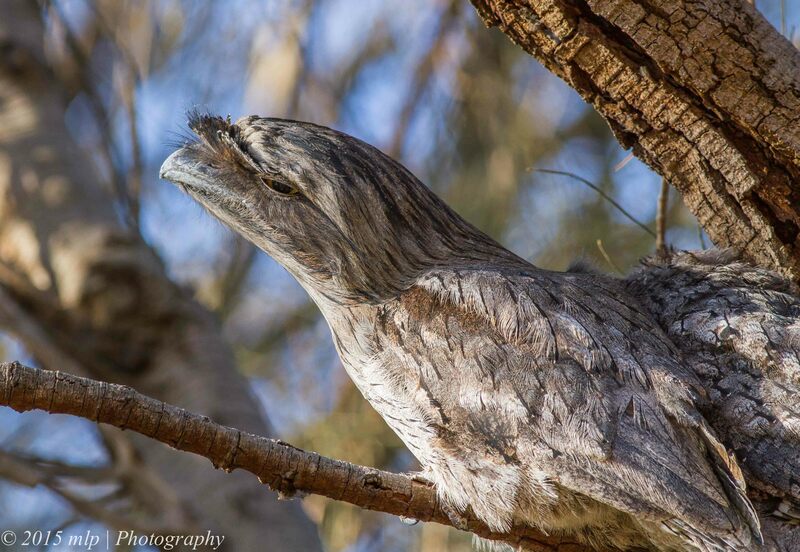 On a recent visit to Braeside Park, I looked out for the resident Tawny Frogmouths. 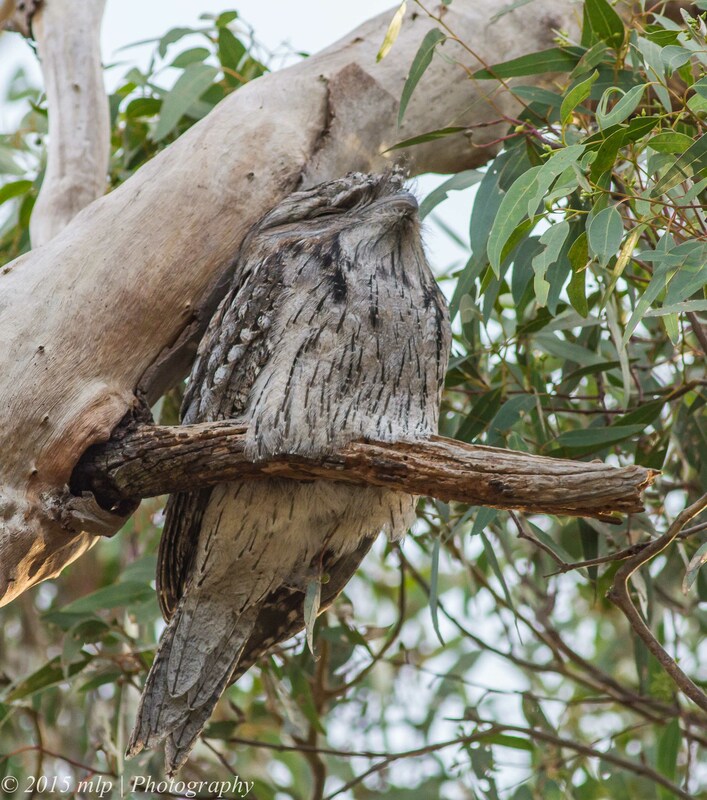 There are many Frogmouths in the park but they are well camouflaged and while they do stick to their territories they move to different trees and roosts every few days. I found 5 on this particular day. (My best day was 14 Frogmouths). To find them you need to look for a suitable area and then look for the right sort of tree, height, and position. Once you find a suitable area you need to look for something that does not quite fit in, a colour variation or round lump that does not quite belong. 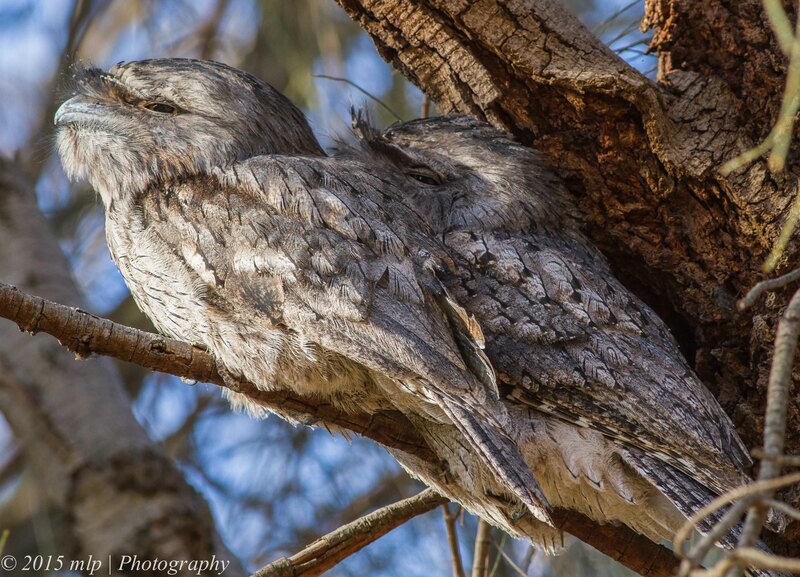 The Frogmouth is in my top 10 favourites due to its calm nature, its camouflage skills and the serene look it gives you when it acknowledges your presence. When agitated, some will pretend to be a branch stump while others will ignore you with just a yellow eye watching you now and again. 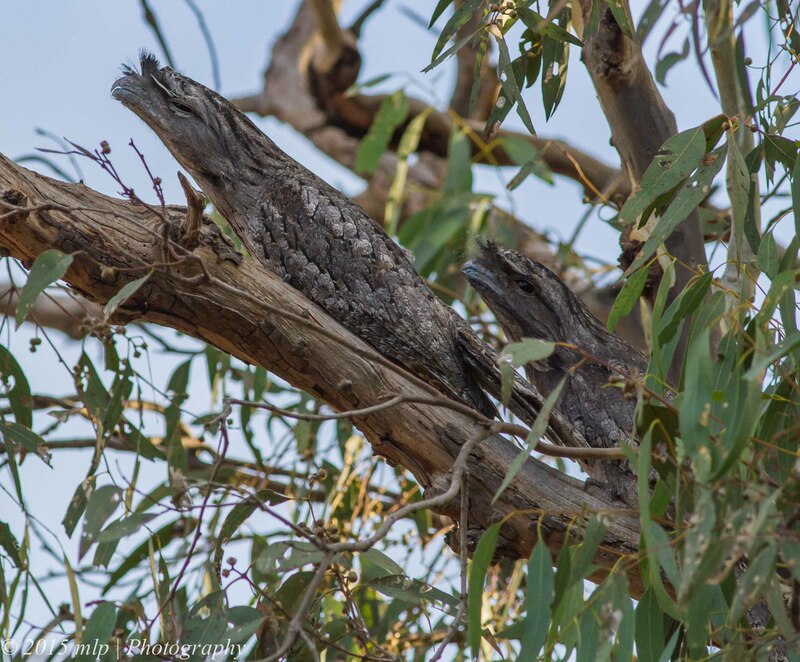 When you spend some time looking for Frogmouths your eyes start tune into objects that seem to stand out from the norm. 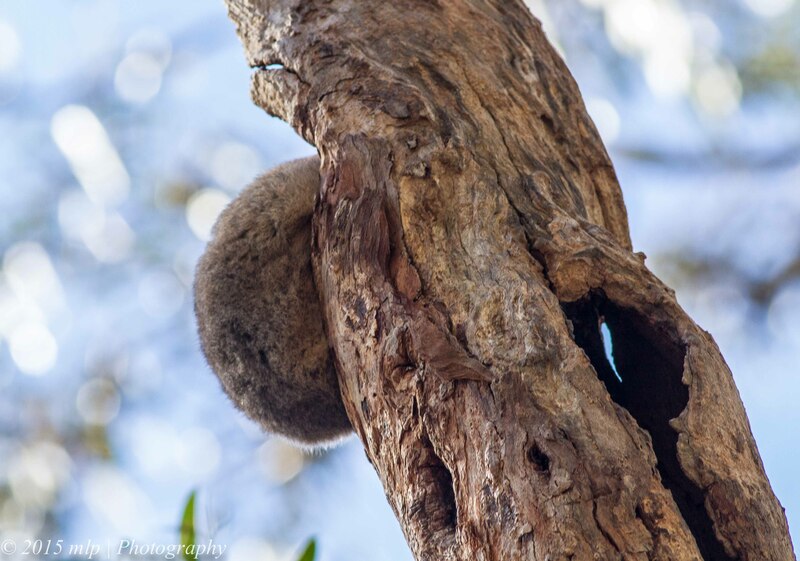 I could not quite figure out what this furry lump was from a distance but when I got closer it turned out to be a Brush Tailed Possum with its bum hanging out of its daytime hollow getting a bit sun while it still slept. 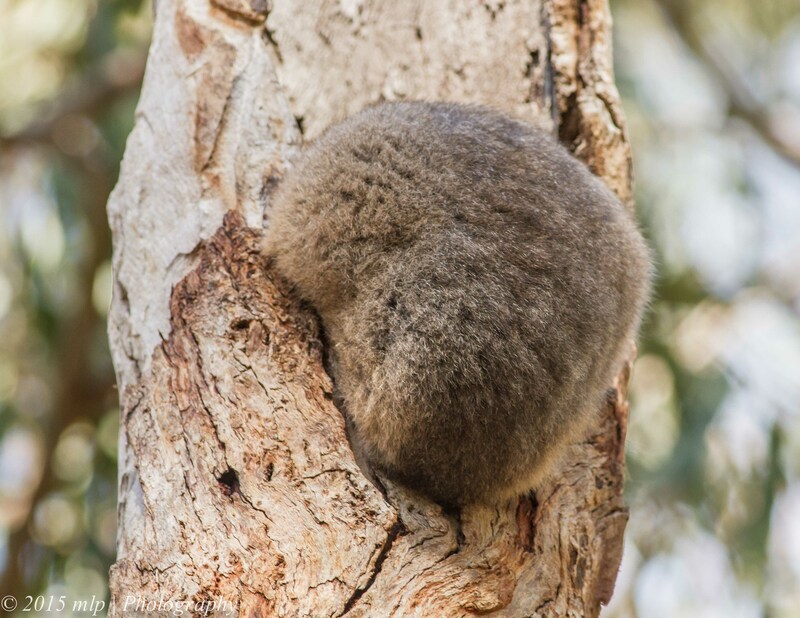 This entry was posted in Bird Behaviour, Birds, Victoria and tagged Australian Birds, Bird Photography, Braeside Park, Brush tailed Possum, Nature Photography, Photography, Tawny Frogmouth, Victoria. Bookmark the permalink.